“Make it simple, but significant." I got all this goal making inspiration (and the quote above) by reading Hayley at The Tiny Twig. (Read her stuff and be blessed.) I’m still a recovering goal-a-phobic, but this little doable, simple goal stuff has helped me creep past it. Not all of my goals are spiritual, deep, or super impressive, but they're pushing me to do a little more than just "get through the month" or wake up one JULY morning and realize I still haven't done all the things I thought I wanted to do. I'm not a natural-born planner, so this is has been good for me. I'd encourage you to do them with your family, husband, roommate, or whomever you do life with. I know it seems kind of cheesy, but I'm learning it may be more valuable than I've given it credit for in the past. Start Ruthie’s Baby book and Finish Her Birth Story: She’s 4 months old, and I've barely cracked the book. I was SO on the ball with Jacob, documenting every. single. thing. I’m determined to have more than her name written in the front cover and do the ole pic every month gig. I also need to finish writing her birth story (and get brave enough to put it on the blog). Since it was such an emotionally, spiritually, and obviously physically challenging experience—down to how I knew I wanted to have her naturally, to her being late, to God answering all of my prayers about it—I have had such a brain block about eloquently putting it ALL into words. So I’ve just put it off. I’m just going to do the best I can and take the pressure off. Analog weekend: This is something that I learned from Hayley and Jessi (can you tell I like them? )—a lot of people have jumpled on the bandwagon for a weekend of rest and internet free living. Now this means different things for different people but for me it will mean not checking ANY social media—Instagram, Facebook, Pinterest, or Twitter (I’m not a huge Twitterer). I don’t spend a TON of time on these outlets, but its more than I’m proud of. So, a little separation from what everyone else is doing, saying, eating… is a nice break for my brain and of course frees me up to truly rest and spend present time with my family. Do a Valentines Craft: I am not crafty. I wish I was. I scroll down the Pinterest feed and get a little anxiety when I see the things these rock-star mamas do with their kiddos. 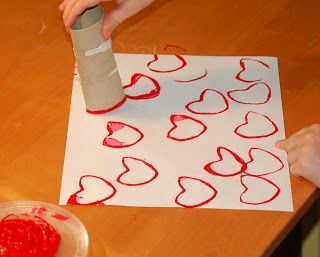 I don’t mind getting messy, I just don’t think I have the teacher, patient, organized, creative DNA to want to do this. I’d rather go and run around outside. I’m good at that. SO… we’re going to do the one all over Pinterest right now. Red paint and toilet paper roll. Easy. (Jacob LOVES this kind of stuff.. so thats my motivation… not Pinterest.) Click Here for Craft. So I totally agree with your whole first paragraph! 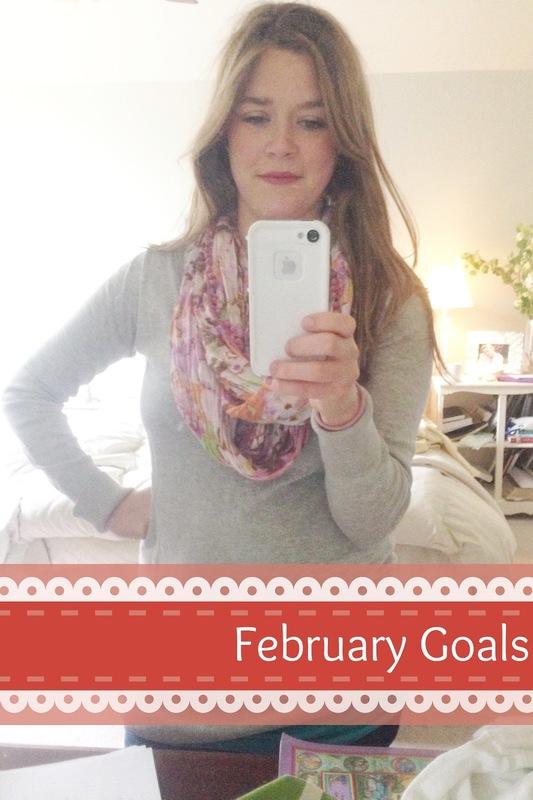 I too am a recovering goal-a-phobic! Maybe we should start a support group ;) Glad you got these out in what I would call a "fashionanly" late manner :)!!! thanks girl! We need a support group indeed! I found your blog through a friend's recommendation and I am loving it! I love that you do shereadstruth, they have such great study plans!